Billions of dollars in joint venture projects with partner Total E&P Canada will be delayed, said Suncor Energy’s new chief executive Steve Williams on Wednesday, as both companies are analyzing alternatives to improve their profitability. On Tuesday Canada's largest energy company posted a 58% drop in second-quarter net income, with earnings of $333 million, or 21 cents per share, compared to $562 million, or 36 cents per share, in 2011. Operating earnings, however, reached $1.258 billion (81 cents per common share), compared to $980 million (62 cents per common share) in the second quarter of the previous year, reportedly exceeding the average analyst estimate of 72 cents. On a conference call to discuss these results, Williams said the stronger operating earnings and cash flow were due to increased production volumes and better margins at its refineries, but were offset somewhat by lower oil prices. In December last year, Suncor (NYSE & TSX: SU) pulled its employees out of Syria to comply with international penalties aimed at weakening the regime of President Bashar Assad, censured for his administration's bloody suppression of pro-democracy demonstrations. "The situation in Syria has not improved, and the company is not certain if or when it will be feasible to resume operations," the Canadian oil sands company said in a release. "Based on an assessment of expected future net cash flows over a range of possible outcomes, the company recorded after-tax impairment charges and write-offs of $694 million against its assets in Syria in the second quarter of 2012." 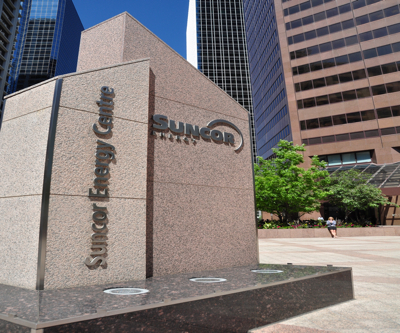 Suncor has not recorded any production from the Middle Eastern country in 2012. The projects affected by today’s announcement include the Joslyn and Fort Hills oil sands mines and the Voyageur upgrader, estimated to cost more than $20 billion.